One piece ( FOTO 2) is sold multiple mold for making a turtle - flower garden size 15.75 "x 13.39" x 1.5 "(40 x 34 x 3.8 cm). 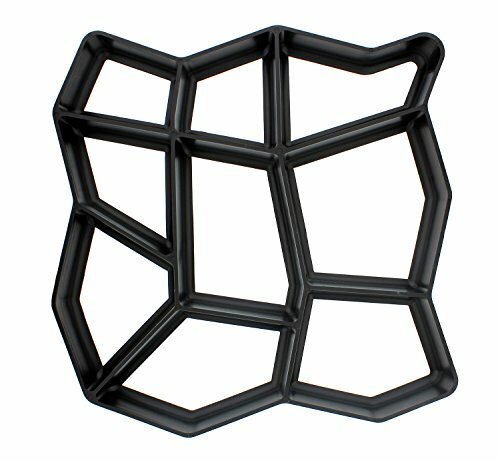 The mold is made of ABS plastic thickness of 0.078" (1.9-2 мм) It can be used for casting plaster and concrete. 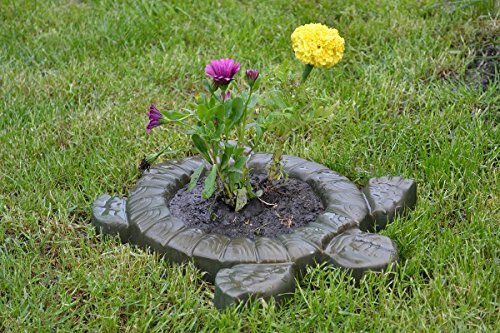 With one mold can produce more than 50 turtles for decorative flower garden . Depending on the geometry of the product wall thickness can form less than the above dimensions. +FREE DELIVERY airmail shipping with tracking number FEEDBACK: Positive feedback and good reviews is so important to our business. If you had a good experience please leave positive feedback. If you ever have a problem or issue please contact me via amazon messaging. I am easy to work with and am very proactive in finding a solution for you. One piece is sold multiple mold for making a frog on leaves . size 17.32"x 17.32" x 3.42 "(440 x 440 x 87 mm). The mold is made of ABS plastic thickness of 0.078" (1.9-2 мм). It can be used for casting plaster and concrete. 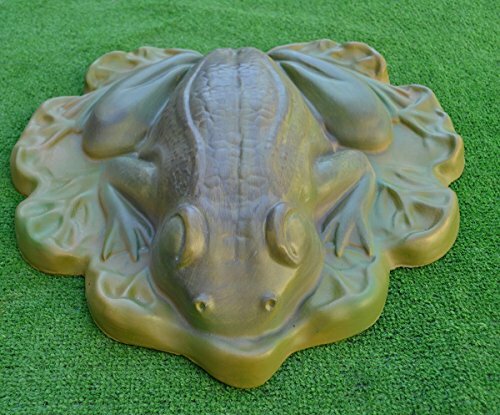 With one mold can produce more than 50 frog for garden. Depending on the geometry of the product wall thickness can form less than the above dimensions. +FREE DELIVERY airmail shipping with tracking number FEEDBACK: Positive feedback and good reviews is so important to our business. If you had a good experience please leave positive feedback. If you ever have a problem or issue please contact me via amazon messaging. I am easy to work with and am very proactive in finding a solution for you. 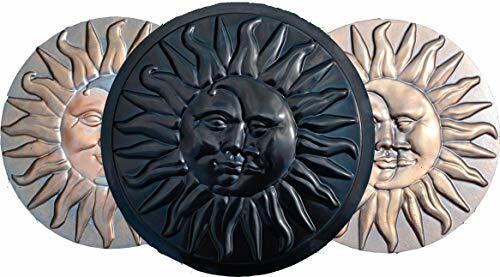 Sold one piece of multiple mold for making a sun and moon stepping stone . Diameter 15.7 " , thickness 1.5 "(400 x 38 mm). The mold is made of ABS plastic thickness of 0.078" (1.9-2 мм). 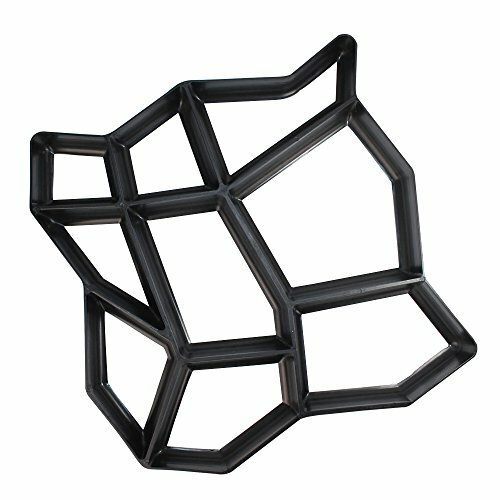 It can be used for casting plaster and concrete. With one mold can produce more than 50 stone for arranging garden paths. Depending on the geometry of the product wall thickness can form less than the above dimensions. +FREE priority airmail shipping with tracking number . FEEDBACK: Positive feedback and good reviews is so important to our business. If you had a good experience please leave positive feedback. If you ever have a problem or issue please contact me via amazon messaging. I am easy to work with and am very proactive in finding a solution for you. * TOOGOO is a registered trademark. ONLY Authorized seller of TOOGOO can sell under TOOGOO listings.Our products will enhance your experience to unparalleled inspiration. 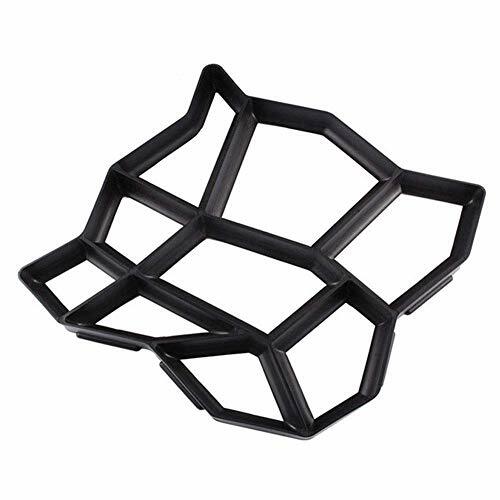 Colour:Black material:plasticSize:35x35x3.6cmPackage Contents:1 x Garden Paving Concrete MoldOnly the above package content, other products are not included.Note: Light shooting and different displays may cause the color of the item in the picture a little different from the real thing. The measurement allowed error is +/- 1-3cm. Do it yourself DIY path, you don't need to spend too much time, it is very simple, choose a sunny and beautiful vacation, build a beautiful path in the garden, patio, etc., and quickly move on from the purchase preparation For best results,place on a smooth and flat suface.If using in the graden,remove 1"/2.5cm of top soil and lvel ground before using the Path Makers. Instruction: 1.Place the paver mold on a flat surface and fill with cement 2.Smooth the Cement. (Fill color) 3.Lift the Mold Away. 4.Smooth Edges with wet Sponge 5.Decor the gaps(Grout、Cement、Cobbles、Seeds) FREE REPLACEMENT OR MONEY BACK GUARANTEE - We are confident in our quality and service on Amazon. Any issues you may have regarding our Path Maker, before you complain to Amazon, please don't hesitate to ask us directly and allow us to solve any issues may you have. if you are not completely satisfied with our quality, we are happy to fully refund you. You can order right now with complete confidence. 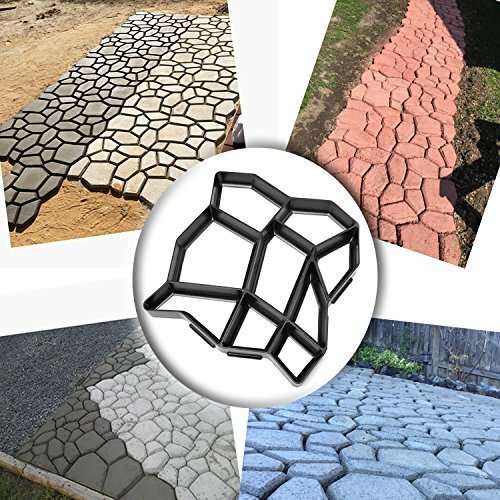 Use the Penn Cement/Stone Mold Irregular Shape Walk Maker to create a uniquely designed walkway. This mold is a convenient tool for paving professional-looking pathways and patio stones quickly and easily. The 17" x 17" x 1.57" size makes it perfect for all foot traffic. Turn an uneven area into a usable patio area, or create a wide and decorative path to your front door with this mold. The irregular design is great for making turns, gradual curves, or filling an area of any dimension to make your own custom design. This one mold can be reused and takes only minutes to form each section. Just fill the mold, smooth the stone, and lift away the mold. 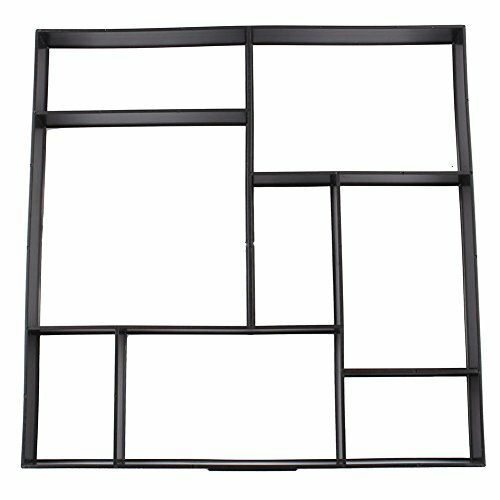 The heavy-duty plastic frame releases easily and makes the job simple. Use about 1 bag of concrete or cement mix per mold. Mix not included. WARNING: This product can expose you to chemicals which is [are] known to the State of California to cause cancer and birth defects or other reproductive harm. For more information go to www.P65Warnings.ca.gov. Nuby's Garden Fresh Fruitsicle Frozen Popsicle Tray is specially designed for making fresh puree popsicles at home. 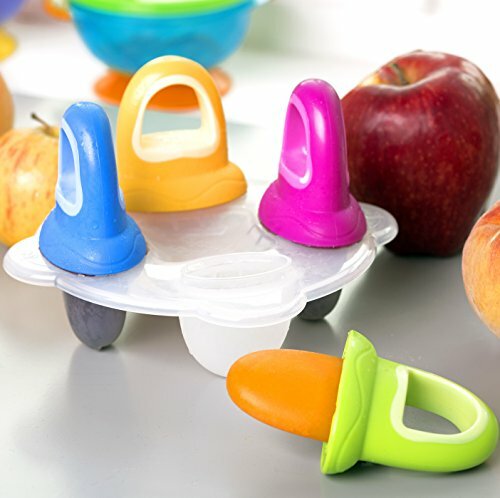 Nuby’s Fruitsicles are the perfect size for baby’s small hands and are designed to catch drips as the pop melts. Fruitsicles are perfect for teething babies with sore gums. This set includes four fruitsicle handles and a tray to mold the pops while keeping them in place while in your freezer. To use: fill compartments with fresh puree, breast milk, or juice. Snap handles into mold and freeze until solid. BPA Free. Shopping Results for "Garden Molds"